Enterprise Bank is proud to have once again joined Anton’s Cleaners and Jordan’s Furniture as a corporate sponsor for the Belle of the Ball prom dress collection program. Thanks to your generous donations, we were able to help make attending the prom less stressful for hundreds of high school students in our region. Collection boxes placed in all 24 Enterprise Bank branch locations and buildings within the Lowell Campus February and March allowed us to collect 525 gowns this year. The donated gowns are professionally cleaned and distributed at no charge to high school junior and senior girls who could not otherwise afford to attend their school’s prom. A team of Enterprise Banker volunteers spent a day organizing gowns and filling display racks at the Hynes Convention Center in Boston in preparation for the event. On “Boutique Day” another group of Enterprise Bankers helped distribute dresses, shoes, purses, and jewelry to the 900 students attending the invitation-only event. 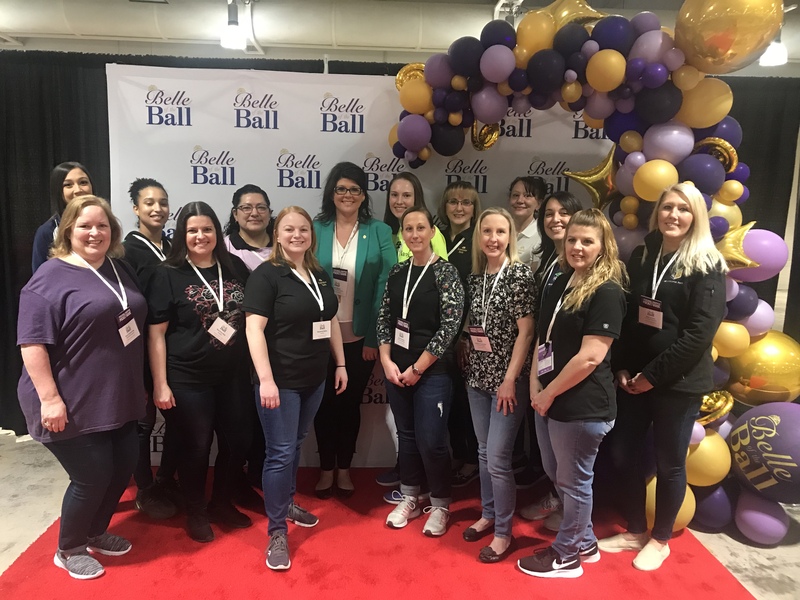 Enterprise Bankers volunteered at the 2019 Belle of the Ball Boutique Day at the Hynes Convention Center in Boston, helping girls to choose a dress, handbag, shoes, and jewelry.